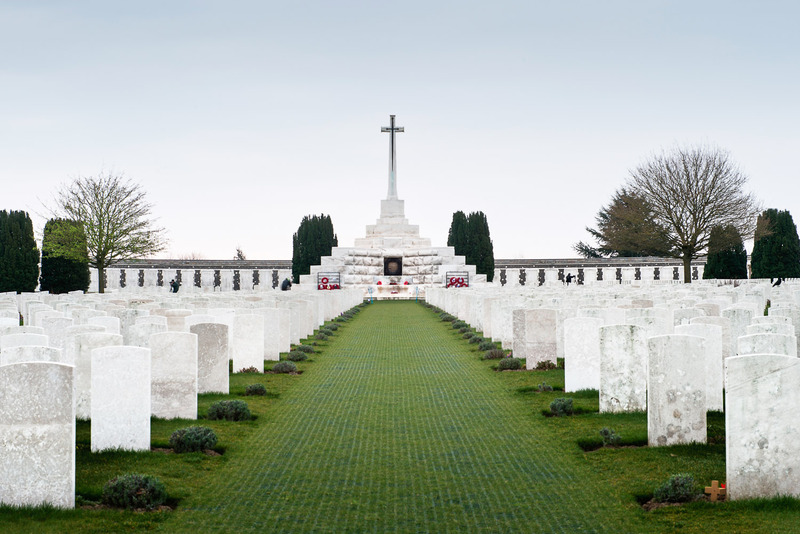 Tyne Cot World War I Cemetery, the largest cemetery for Commonwealth forces in the world. The famous Menin Gate leading to the centre of Belgian city Ypres. “This is the kind of damp cold that gets into your bones, ” said Jan, my guide from Flanders Battlefield Tours. It was a grey day, a misty, drizzling rain had set in. At four degrees it was also a cold day for April in the small Belgian town of Ieper (Ypres). As the crowd grew under the Menin Gate, I folded my umbrella and stood waiting for the nightly Last Post Ceremony, an act of remembrance held here every night since 2 July 1928. I had come to Flanders in search of a deeper understanding of the events of World War I and Jan was just the respectful and well informed guide I needed to find it. Earlier in the day she had taken me through many of the landmarks of the Western Front, which ran through this area during the War. Having moved from the UK with her fiancé 21 years ago, she pours all her time and energy into researching the people behind the stories. She called them ‘her soldiers’. At Essex Farm, hearing the immortal words of Dr John McCrae’s poem In Flanders Fields, while looking over the dressing station in which he worked, the atrocities of war started to sink in. A little further down the road, between Passchendaele (Passendale) and Zonnebeke, I stood among the unnamed graves of Tyne Cot Cemetery in the heart of the Western Front; hundreds of headstones simply engraved with ‘Here Lies a Soldier of the Great War, known unto God’. Jan sought out the marked grave of an Australian Victoria Cross recipient, Sargeant Lewis McGee (1888–1917), whose actions under heavy fire led to the seizure of a second machine gun post in the Battle of Broodseinde. He was just one of thousands of Commonwealth soldiers whose remains lie beneath the soil there, his grave flanked by mini Australian flags, left as a mark of respect by visitors like me. Visiting the German cemetery at Langemark was just as sobering. After World War II, a financially crippled Germany could no longer afford to maintain all its war cemeteries, so a mass grave of soldiers, exhumed from various smaller sites, was created here. 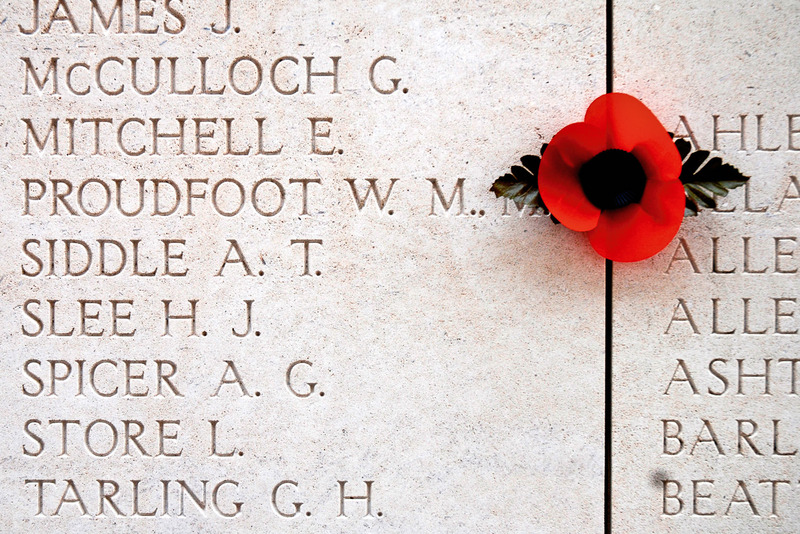 Stones engraved with 8–10 names each mark where some 44,000 soldiers have been laid to rest. The final stop on the battlefield tour was the small museum at Hill 62, where a family has preserved the original trenches that ran through their land. As I walked the trenches and tunnels, dug 100 years ago by soldiers whose stories I had just heard, it wasn’t hard to imagine the conditions men fought in here. Suddenly what this land saw a century ago didn’t seem such a distant memory. The museum also has a haunting collection of works from war photographers, seen in special 3D viewing boxes. During the War, Ieper saw seemingly endless battles. Shelling destroyed almost everything that stood in the medieval city. Afterwards, at the suggestion of Winston Churchill, the decision was made to rebuild it from the original plans. This resulted in the gothic buildings present today, the centrepiece of which is the City Cloth Hall, home to the Flanders Field museum. 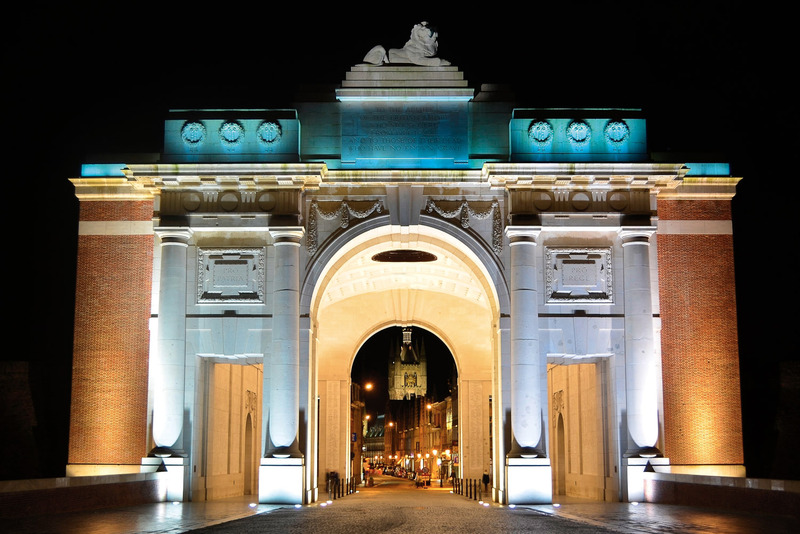 The imposing Menin Gate is a modern tribute to the fallen soldiers, built within the medieval city wall. During the Last Post Ceremony, after the buglers fell silent, we heard the story of British soldier Private Reginald Wilson: at just 15 years old, Reggie and his mate Frank were sent to the Western Front; both lost their lives. Each evening the ceremony includes the story of a different fallen solider. It was an emotional experience that sunk in deeper than the cold in my bones; one that will stay with me for a lifetime. Tell us about your travels and win! Katie Bourke has won a Sleek Photo Hatchback AW Series daypack valued at $120. It’s a fun, practical and flexible solution for carrying a full camera kit, plus plenty of personal gear and digital devices.